Sechelt airport is located at the top of Field Road in Wilson Creek. A number of commercial and recreational groups are located at the airport. Lots for both commercial and recreational purposes are available for lease by contacting the District of Sechelt. Rgt hand circuits Rwy 11 (CAR 602.96). 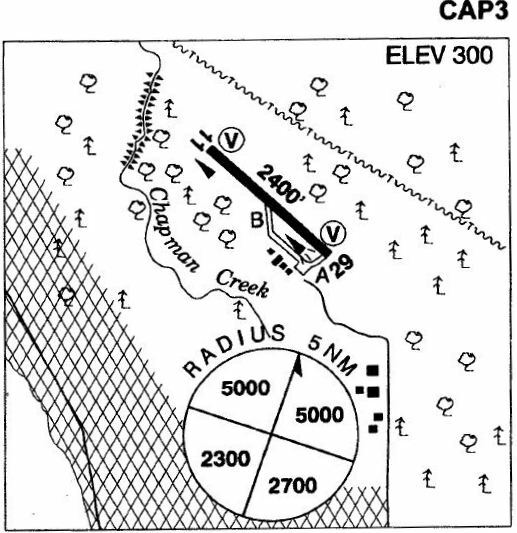 Circuit alt 1300 ASL over the water to allow adequate separation fr noise sensitive area loc btwn A/D & Strait of Georgia. Strongly recommend that only pilots familiar with lcl terrain should use this A/D at night. Rwy 11: trees to 100 AGL on apch & within 300' N of extended centreline.